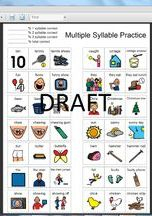 Practice sheet for children with motor speech delays. Work from one syllable to three syllables. *Practice alternating vowel sounds by producing meaningful words. 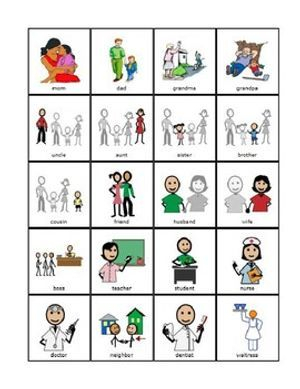 18 Basic choice boards for AAC users. 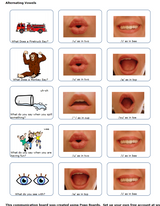 Also good for children with few words or apraxia who need to work on functional vocabulary. Can be printed out and put in a binder.